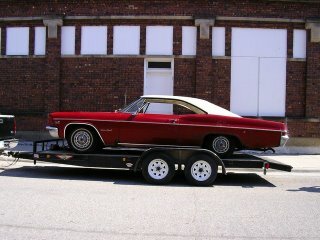 Look at Jay's "new" car - a 1966 Impala SS. It was sitting in some farmer's garage for 20 years. This guy bought it brand new from Elbert's Chevrolet. He parked it in 1986 and never drove it again. The body is in fairly good shape (considering) and Jay plans to completely rebuild the engine. He's not even sure whether it will start in its present condition. He wouldn't tell me what he paid for it, but he had a little smile on his face while talking about it. Whatever it was, I'm sure he feels he got his money's worth. He now has a hobby that will probably take him years to get running and looking cherry. 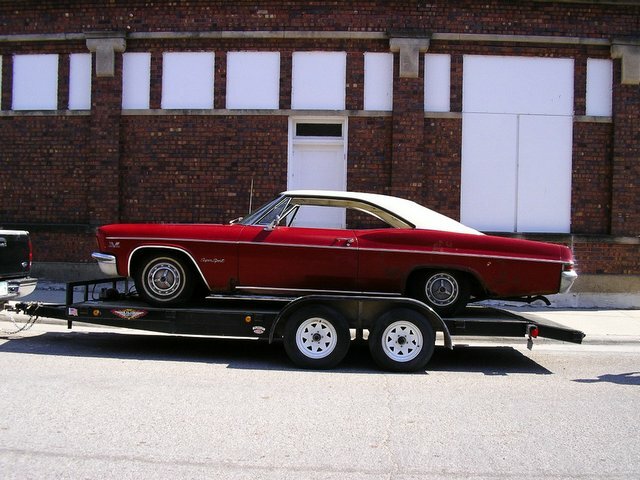 Man - does this car bring back memories! I can't believe that car wasn't driven in 20 years! It's gorgeous ... please keep us posted on Jay's overhaul of the car.